Meet Eddie Ellis - Building youth and adults. Recidivism Solutions. Saving futures. Eddie B. Ellis, Jr. is a champion for change. This native Washingtonian is a youth activist and motivational speaker. His lived experience as a former convict provides an insight and depth into his work that allows him to connect with and engage audiences. Mr. Ellis's professional experience, certifications and training allow him to serve as a resources to the community. 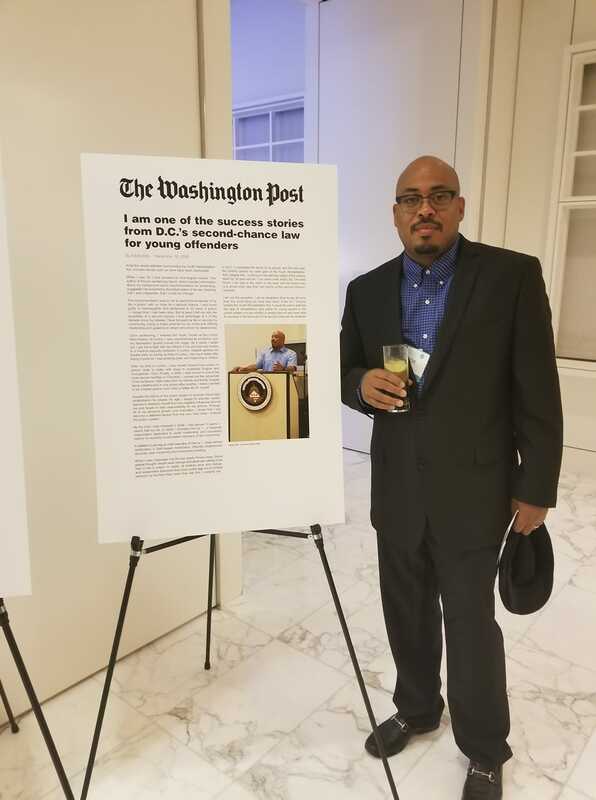 He has written and published several resource guides offering service referrals, practical tips and inspiration to former offenders and parolees resettling into the Washington, DC metropolitan area. Reflecting on the choices in his life, Mr. Ellis also created the The People That We Hurt On The Outside Seminar, a CD-ROM tool that can be used to help both youth and young adults understand how their choices and incarceration can affect their relationships with those on the outside and how to rebuild and repair those relationships. Want to learn more about One by 1's CEO? Watch the Out for Good trailer, which provides clips from the full-length documentary based on Mr. Ellis's life experiences since returning home from prison. Organizations and companies, like Court Services and Offender Supervision Agency (CSOSA), DreamCity Theatre Group, Potomac Job Corporation and Rivers Correctional Institution. Eddie Ellis was just a kid in the streets when he was arrested and sentenced to a 15-year prison term. After his release, he founded One by 1, Inc. and now uses his lived experience to build safer communities. He develops and provides workshops to at-risk youth to help them develop the life, leadership, and decision-making skills they need to stay in school and out of trouble. He also develops resources to support the successful reentry of men and women from incarceration back into their communities. Though Eddie can't change the choices he made in his youth, he works hard everyday to ensure that today's youth are equipped to make better choices than he did and that people who also made mistakes in the past are prepared to reenter society and do better.